Auto Ship & Earn + 143 Points What's this? Healthy brain chemistry is important to the rest of the bodily functions, as is blood vessel health. 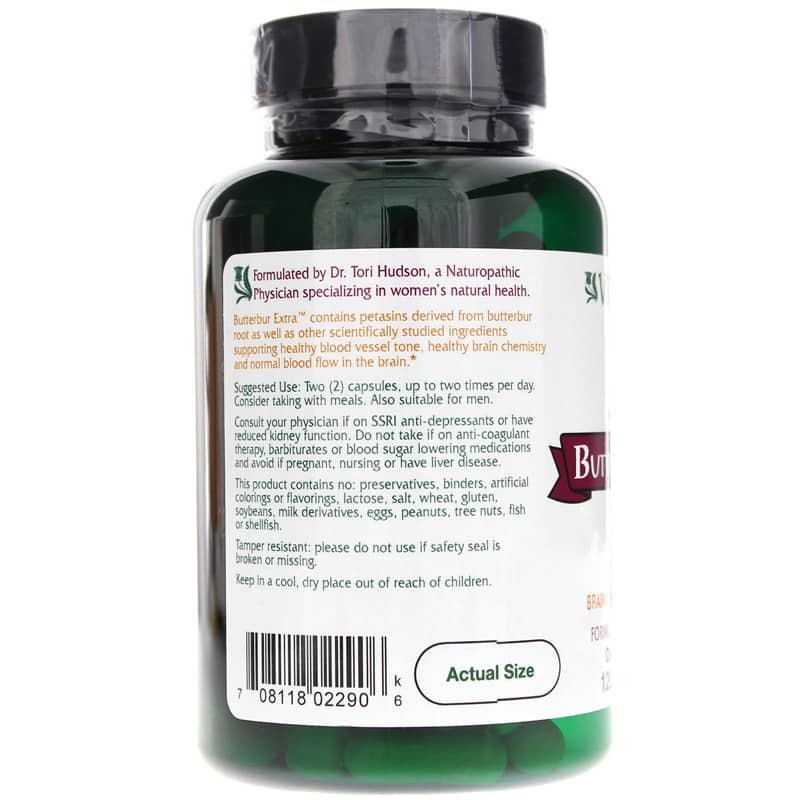 Take care of your blood vessels and brain with Butterbur Extra from Vitanica! 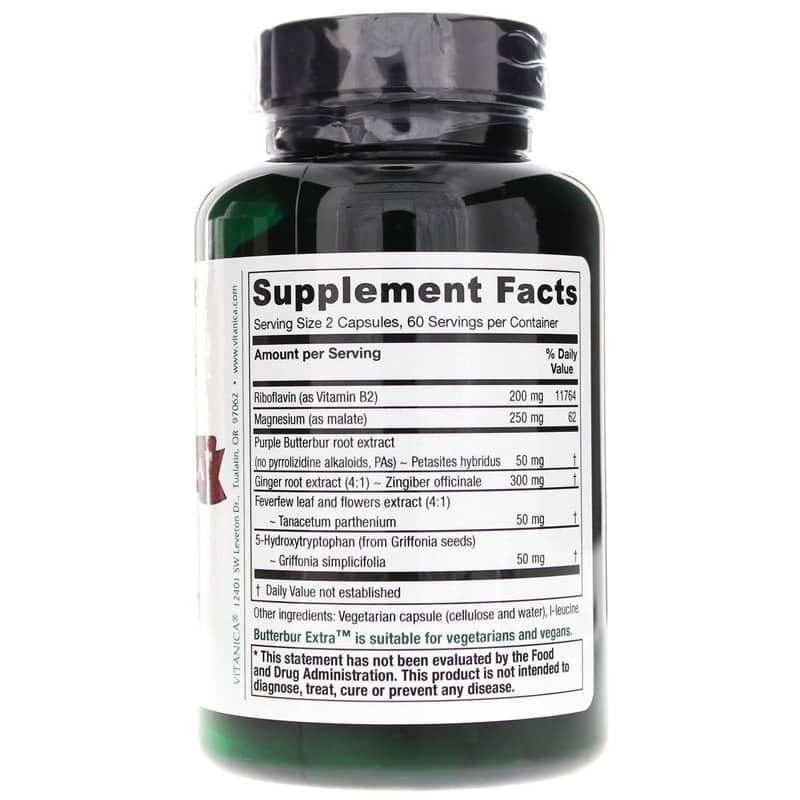 This natural supplement contains a blend of nutrients design to promote optimal brain and vessel health, improving brain stability. What might this supplement do for me? 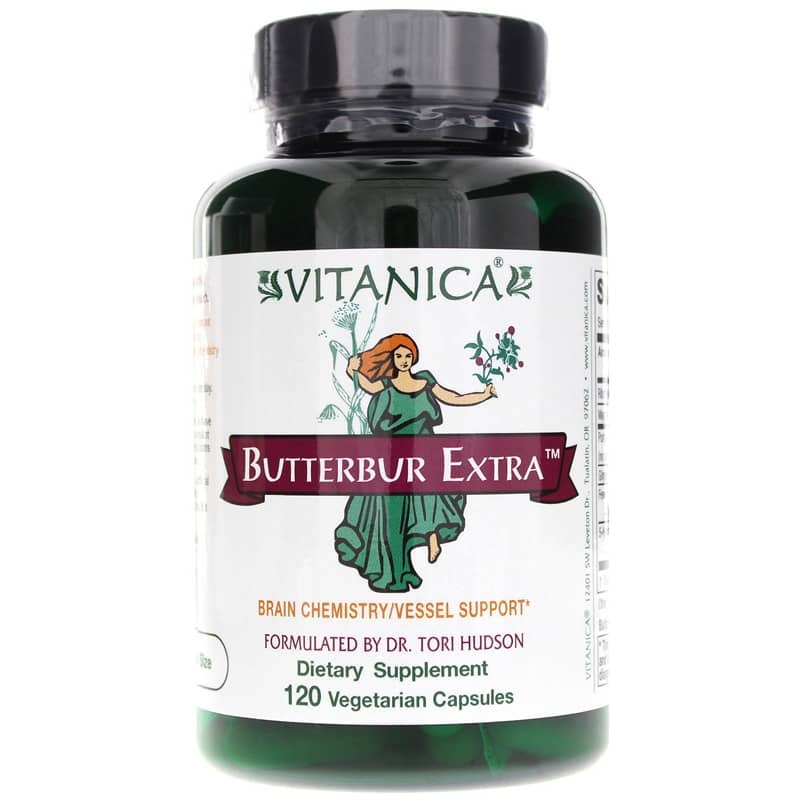 Butterbur Extra from Vitanica comes in an easy-to-swallow vegetarian capsule and includes powerful natural ingredients like magnesium and ginger root that promote optimal health. Take a smart step toward better brain chemistry, stronger blood vessels, and better overall health. Choose Butterbur Extra from Vitanica today and move toward optimal health! Other Ingredients: vegetarian capsule (cellulose and water), l-leucine. Contains NO: preservatives, binders, artificial colorings or flavorings, lactose, salt, wheat, gluten, soybeans, milk derivatives, eggs, peanuts, tree nuts, fish or shellfish. Vegetarian/Vegan. Adults: Two capsules, up to two times per day. Consider taking with meals. Also suitable for men. Consult your physician if on SSRI anti-depressants or have reduced kidney function. Do not take if on anti-coagulant therapy, barbiturates or blood sugar lowering medications and avoid if pregnant, nursing or have liver disease. Keep out of the reach of children.